If you’ve lost your car keys, talk to us first! As your local car locksmith in Sydney NSW, we supply, copy and repair automotive transponders keys for many types of vehicles, with no need for you to go to the manufacturer or dealer. 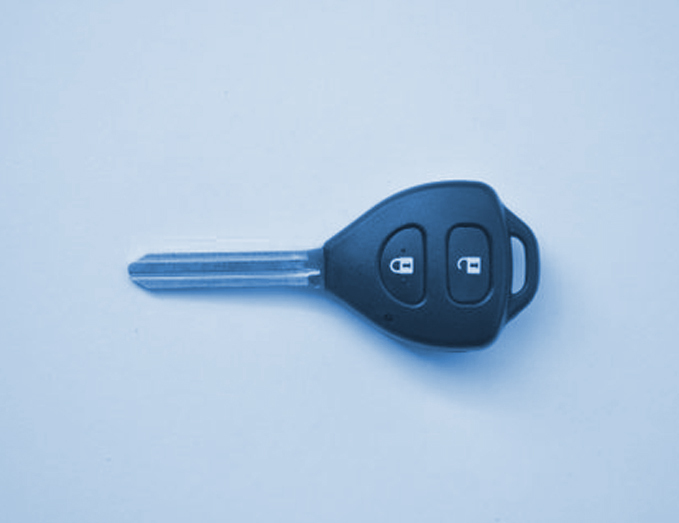 With our Automotive Transponder device we can make a new set of your car keys and program your Electronic Management System (computer) to match the Immobiliser Technology built in. We are the locksmiths Sydney people turn to for reliable, fast and efficient service. What are Automotive Transponder Keys? The biggest change to the automotive industry in recent times has been the introduction of the built in immobiliser system on all cars manufactured since 1996. This involves placing a microchip in the head of the key, which is a miniature transmitter and receiver. There is an engine management system in the engine compartment that can recognise the signals transmitted from the key. If the correct signals are not detected the engine will not start. An electronic chip with a permanent memory which contains an electronic code. The transponder has an antenna with which it can interface with an external electronic control device. Through the antenna the device emits a fixed frequency signal; the transponder receives the signal and then transmits its electronic code, by means of special frequency modulations, to the control device, which is able to process the code. The transponder has no external input of power supply (passive system); it receives the energy necessary to work from the signal emitted by the external control device (inductive coupling between the control device antenna and that of the transponder).ngine compartment that can recognise the signals transmitted from the key. If the correct signals are not detected the engine will not start. Can we copy all transponders? We cover a large range of car makes and models. Contact us for a free no obligation quote. What’s the range of cars that’s available for your automotive locksmith services? We now offer gain entry to all types of cars: All European cars, VW Golf, Polo, Jetta, Golf Wagon, Bettle, Caddy, Touareg, Multivan, Transporter, BMW 1 series, 3 series, 5 series, 6 series, 7 series, M models, X1, X3, X5, X6, Z4 models, Land Rover Defender, Freelander, Evoque, Discovery, Rang Rover Sport, Mercedes Benz all Models, A Class, B class, C class, CL class, CLS class, E class, G class, GL class, M class, R class, S class, SLK class, SL class. What other automotive locksmith services do you offer? Auto locksmith, Lost car keys, Lost auto keys, Lost Automotive keys, Lost Automotive keys, Replacement car keys, Replacement Automotive keys, Replacement Auto keys, Replacement car ignitions, Replacement car ignitions, Gain entry to cars, Locked keys in car, Locked keys in boot, Locked keys in trunk, Program automotive keys, Program car keys, Lost all car keys no spare key, Replacement of lost car keys for most vehicles.